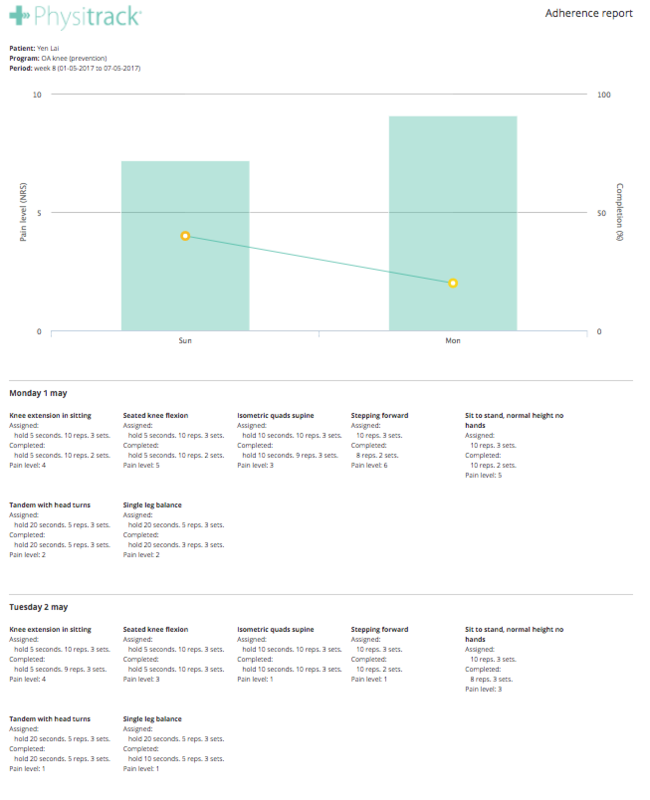 Physitrack lets you analyse client adherence, pain levels, RPE / HRMax / loading in real-time. 1. Go to Clients and click on the client file you would like to view. 2. 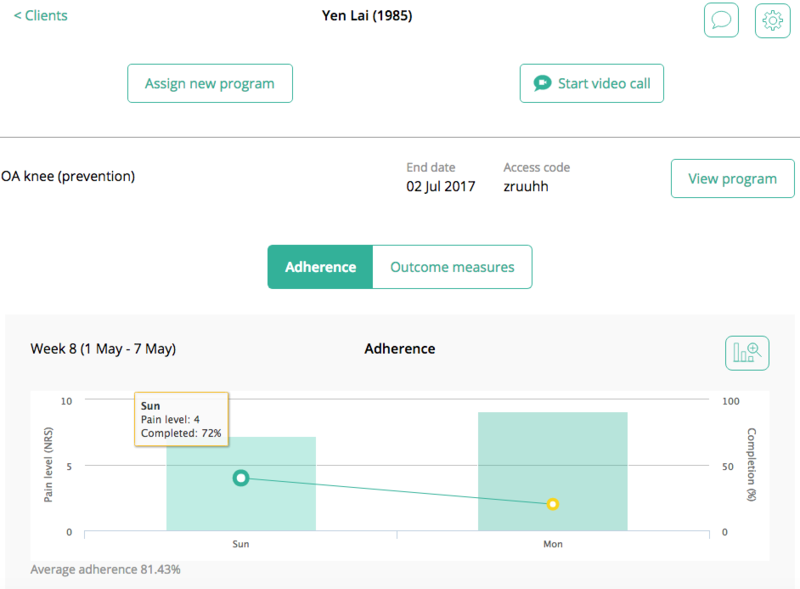 Ensure you are in the "Adherence" tab and hover your mouse over a chart to view average adherence and pain levels per day. 3. Click on any day to see the adherence data for that day. 4. Click on the graph icon next to a chart to create a printable and saveable PDF showing these results in detail. How do I save client outcomes as a PDF to upload to my practice management system?